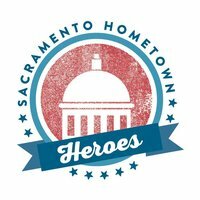 On this day of national reflection, the Sacramento region honored three men with local ties who helped thwart a terrorist attack in France last month. Along with a parade in Downtown Sacramento this afternoon, the feats of Spencer Stone, Alek Skarlatos, and Anthony Sadler were spoken into the Congressional Record on House floor today by Congressman Ami Bera (D - Elk Grove). Today's Downtown event drew an estimated 10,000 people to the parade route along Capitol Mall that made its way to the west stairs of the State Capitol. The three men were cheered by the crowd and received a key to the city from Sacramento Mayor Kevin Johnson and a flyover by the United States Air Force out of Travis AFB that was arranged by the California State Assembly.